The best SSDs can supercharge your PC. 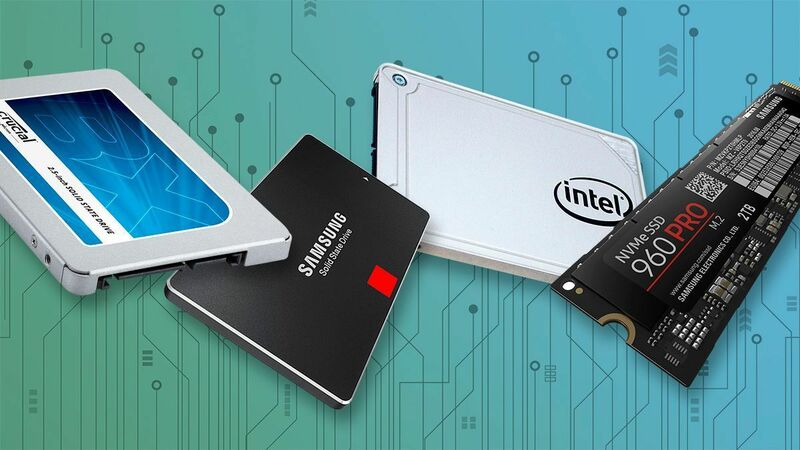 Here are our picks for the best SSDs, what to look for in an SSD, whether you even need an SSD, and more. Switching to a solid-state drive is the best upgrade you can make for your PC. These wondrous devices obliterate long boot times, speed up how fast your programs and games load, and generally makes your computer feel fast. But not all solid-state drives are created equal. The best SSDs offer solid performance at affordable prices—or, if price is no object, face-meltingly fast read and write speeds. That’s where this guide comes in. We’ve tested numerous drives to find the best SSDs for any use case. Let’s take a look at PCWorld’s top picks, and then dive into what to look for in an SSD. Quick note: This roundup only covers internal solid-state drives. Check out PCWorld’s guide to the best external drives if you’re looking for a portable storage solution. Updated March 11, 2019 to add the Crucial P1 NVMe SSD review (available on Amazon). It's very affordable and a good choice for mainstream consumers, but stick to smaller file sizes—its performance takes a nosedive when it runs out of cache. Read our review. Intel and Micron announced that they’ll stop jointly developing 3D XPoint in the first half of 2019. 3D XPoint is the revolutionary storage technology inside Intel’s blazing-fast Optane SSDs. Both plan to develop the technology independently, however. Intel discontinued desktop “Core+” bundles that packaged Core processors with Optane Memory drives mid-January. Laptop versions of the bundles will continue to be sold. The Samsung 860 EVO delivers performance every bit as good as its MLC rivals. It's a worthy competitor for the WD Blue 3D and Sandisk 3D, two other TLC drives that are undoing TLC's weak reputation. The Samsung 850 EVO served as our go-to SSD recommendation ever since it debuted in 2014, but after a long reign at the top, the company replaced the legendary drive with the Samsung 860 EVO in 2018. The replacement isn’t quite as revolutionary as its predecessor but nevertheless claims the throne as the best SSD for most people. The Samsung 860 EVO isn’t the fastest SSD you can buy—that honor goes to advanced drives that transfer data over PCI-E rather than the traditional SATA interface—but it’s the fastest triple-layer cell (TLC) SATA drive we’ve tested, albeit by a small margin. More importantly, it’s solved the slow write performance plaguing many other SSDs that use TLC NAND chips. We copied a whopping 80GB of data in one test and the EVO stayed strong the entire time, rather than bogging down after exceeding its cache. The 500GB Samsung 860 EVO (available on Amazon) is probably the best option for most people, but it’s also available in 250GB, 1TB, 2TB, and 4TB models. Prices for SSDs start to get staggering once you hit 1TB or more of capacity, though. Many people might be better off buying the 500GB version and pairing it (if need be) with a high-capacity traditional hard drive like the Western Digital Blue lineup ($50 for 1TB on Amazon). But other SSDs are challenging the Samsung 860 EVO. 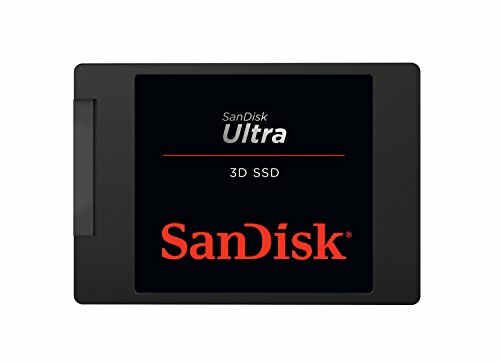 The Sandisk Ultra 3D ($70 for 500GB on Amazon) is another solid option. The Sandisk Ultra 3D’s three-year warranty lags behind the five-year warranty of the Samsung drives, though. The WD Blue 3D NAND SATA SSD ($68 on Amazon) is essentially the same SSD as the Sandisk Ultra 3D, but sold with a different label and in another form factor (M.2). Seagate’s Barracuda SSD, meanwhile, is even faster than the 860 EVO in many situations but suffers from occasional brief, bizarre performance dips. That’s a bit unsettling, but Seagate offers a generous five-year warranty with the drive. It’s available in 250GB for $53, 500GB for $73, 1TB for $140, and 2TB for $300. Samsung also offers the Samsung 860 Pro, but the Samsung 860 EVO is nearly as fast. The only reason to opt for the Pro model is if you you’re concerned about longevity or write far more data daily than the average user, as it offers a best-in-class endurance rating. You pay for the peace of mind, though. 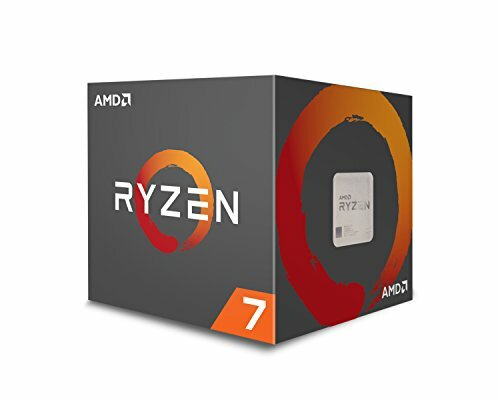 A 256GB model costs $90 on Newegg, while a 512GB model sells for $150. You’ll also find 1TB, 2TB, and 4TB Samsung 860 Pro drives available—the latter for a staggering $1,000. In the 2TB and 4TB capacities, this SATAa 6Gbps SSD is a lot cheaper than the competition. It's also a very fast reader, and a fast writer—until it runs out of cache. At the 1TB level however, there are cheaper drives that don't slow down even when writing large data sets. If you’re looking for a solid, easy-to-install SATA SSD but don’t want to spend a lot of money, check out the Samsung 860 QVO. This budget-friendly drive is an excellent everyday performer when both reading and writing data, and at $140 for a 1TB model on Amazon, it offers plenty of storage space. Samsung also plans a 2TB model for $300 and a 4TB model for $500, though neither is currently available at retail. Samsung managed the feat by designed the 860 QVO around quad-level cell NAND, making it one of the first QLC SSDs on the market along with the NVMe-based Intel 660p. The new technology lets drive makers stuff SSDs with hard drive-like levels of capacity while simultaneously maintaining those juicy SSD speeds we all love so much—most of the time. If you exceed the 860 QVO’s cache, speeds plummet to hard drive-like levels too. Fortunately, that limitation doesn’t kick in unless you’re shifting very large amounts of data (and Intel’s QLC drive suffers the same fate). Our tests moved around 42GB of data before blowing past the cache and seeing those slower speeds. That might be an issue for some specialized workloads, but when you consider the drive’s overall capabilities and mouthwatering price-per-gigabyte, it’s a stellar low-cost option for many people, especially if you’re considering the larger 2TB and 4TB capacities. 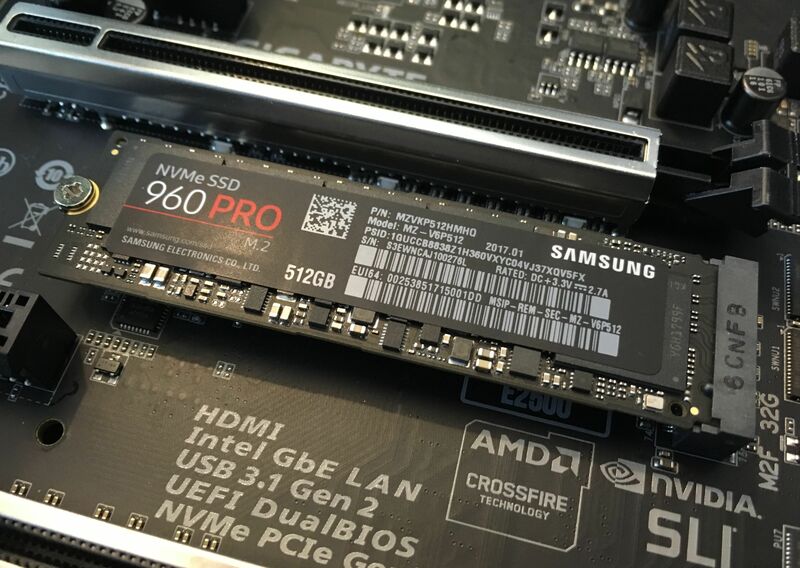 If performance is paramount, the Samsung 970 Pro is the best NVMe SSD you can buy, backed by Samsung’s excellent Magician SSD management software—but most people should buy Adata’s XPG SX8200 Pro instead. This ludicrously fast drive roars past SATA-based SSDs in sustained read/write tests and delivers better performance as the chart-topping 960 Pro. But it does so for significantly less cash: 256GB for $75 on Amazon, 512GB for $120, and the 1TB model we tested for $215. Wow. The Samsung 970 EVO Plus is an excellent alternative, delivering up to 42 percent better performance than the older 970 EVO it replaced, and at far lower prices. The 970 EVO Plus is available in 250GB, 500GB, and 1TB flavors for a $90, $130, and $250, respectively. That’s astoundingly good bang-for-buck with a drive this potent. The WD Black SN750 is the successor to the WD Black 3D SSD that reigned as our top pick for most of 2018. It’s just a hair slower than the Samsung 970 EVO Plus (and nearly as fast as the 970 Pro), but you’ll never notice the difference, and the WD drive handles extremely large file transfers better. 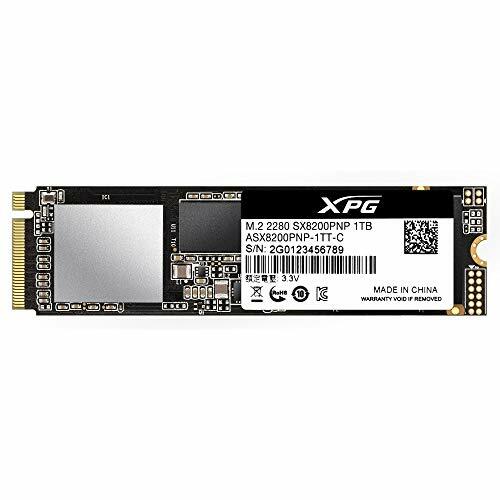 It’s one of the best combinations of price and performance you can find in an NVMe drive, at $80 for 250GB, $130 for 500GB, $250 for 1TB, and $400 for 2TB on Amazon. If performance is paramount and price is no object, Intel’s Optane SSD 905P is the best SSD you can buy, full stop. The drive doesn’t use traditional NAND technology like other SSDs; instead, it’s built around the futuristic 3D Xpoint technology developed by Micron and Intel. Hit that link if you want a tech deep-dive, but in practical terms, the Optane SSD 900P absolutely plows through our storage benchmarks and carries a ridiculous 8,750TBW (terabytes written) rating, compared to the roughly 200TBW offered by many NAND SSDs. If that holds true, this blazing-fast drive is basically immortal—and it looks damned good, too. But you pay for the privilege of bleeding edge performance. Intel’s Optane SSD 905P costs $550 for a 480GB versionRemove non-product link and $1,279 for a 1.5TB model, with several additional options available in both the U.2 and PCI-E add-in-card form factors. That’s significantly more expensive than even NVMe SSDs—and like those, the benefits of Intel’s SSD will be most obvious to people who move large amounts of data around regularly. And the Optane SSD 900P actually uses the NVMe protocol to communicate with your PC, so you’ll need to meet some additional criteria to be able to boot from it—which we’ll cover next. The step-down Intel Optane SSD 900P is like a miniature version of the 905P, still beating out traditional SSDs (albeit by a smaller margin) at lower capacities and prices—though at $285 for a 280GB version and $600 for a 480GB model, it’s still drastically more expensive than most NVMe drives. The Intel SSD 800P ($129 for 58GB, $199 for 118GB on Newegg) isn’t anywhere near as compelling a purchase despite being far more affordable. It still offers best-in-class longevity and very fast random file access, but the 800P delivers mundane results in other performance areas, and it’s crippled by low capacities and sky-high prices. Grab one of our other top SSD picks instead. Be aware of what NVMe drives deliver before you buy in. Standard SATA SSDs already supercharge boot times and loading times for PCs, and for a whole lot cheaper. You’ll get the most use from NVMe drives, be it in a M.2 form factor like the Samsung 960 Pro or a PCIe drive, if you routinely transfer data, especially in large amounts. If you don’t do that, NVMe drives aren’t worth the price premium. If you decide to buy an NVMe SSD, make sure your PC can handle it. This is a relatively new technology, so you’ll only be able to find M.2 connections motherboards from the past few years. Think AMD Ryzen and mainstream Intel chips from the Skylake era onward, for the most part. NVMe SSDs that were mounted on PCIe adapters were popular in the technology’s early years, before M.2 adoption spread, but they’re rarer now. Make sure you’re actually able to use an NVMe SSD before you buy one, and be aware that you’ll need 4 PCIe lanes available in order to use it to its full potential. The Samsung 960 Pro NVMe SSD in an M.2 slot. To get the most out of an NVMe drive, you want to run your operating system on it, so you must have a system that recognizes the drive and can boot from it. PCs purchased during the past year or two should have no problem booting from an NVMe drive, but support for that can be iffy in older motherboards. Do a Google search for your motherboard and see if it supports booting from NVMe. You may need to install a BIOS update for your board. If your hardware can’t boot from an NVMe SSD, your machine should still be able to use it as a secondary drive. Capacity and price are important, of course, and a long warranty can alleviate fears of premature data death. Most SSD manufacturers offer a three-year warranty, and some nicer models are guaranteed for five years. But unlike the olden days of SSDs, modern drives won’t wear out with normal consumer usage, as Tech Report tested and proved years ago with a grueling endurance test.